Dr. Michael Stonebraker and Dr. Lawrence A. Rowe are the recipients of the 2015 SIGMOD Systems Award for fundamental contributions to the design and implementation of modern, object-relational database systems as embodied by the Postgres DBMS. Details: Dr. Michael Stonebraker has been a pioneer of data base research and technology for more than a quarter of a century. He was the main architect of the INGRES relational DBMS, and the object-relational DBMS, POSTGRES. These prototypes were developed at the University of California at Berkeley where Stonebraker was a Professor of Computer Science for twenty five years. More recently at M.I.T. he was a co-architect of the Aurora/Borealis stream processing engine, the C-Store column-oriented DBMS, the H-Store transaction processing engine, the SciDB array DBMS, and the Data Tamer data curation system. 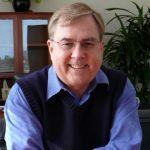 Presently he serves as Chief Technology Officer of Paradigm4 and Tamr, Inc.
Lawrence A. Rowe is a Professor Emeritus of Electrical Engineering and Computer Science at UC Berkeley. He received a BA in mathematics and a PhD in information and computer science from UC Irvine in 1970 and 1976, respectively. He was a faculty member at Berkeley from 1976-2003. From 2007-2014, he served as President/COO and later Chairman/CEO at FX Palo Alto Laboratory. His research interests are multimedia systems and applications, distributed collaboration, DB application development tools, and distributed systems. He is an ACM Fellow, past chair (1998-2003) of ACM SIGMM, and recipient of the 2009 ACM SIGMM Technical Achievement Award. He was a co-recipient of the 2002 UC Innovation in IT award for the development of the Berkeley Lecture Webcasting System and received a distinguished alumni award from UC Irvine in 2007. Rowe is an active angel investor and co-founder of several companies including the original Ingres Corporation.